Conferences of all sizes are welcome at Brussels Expo! Our facilities offer you conference rooms of all capacities: from 100 to 500, from 500 to 2000 and from 2000 to 10,000 places. 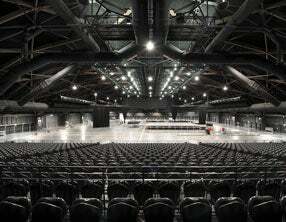 Palais 12 is ideal for conferences for 2000 persons or more (max 10,000 persons seated). 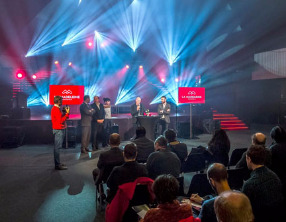 AUDITORIUM 2000 is the most popular conference room in Brussels. It can accommodate 1860 persons but is just as suitable for upwards of 500 thanks to its ingenious light effect system. AUDITORIUM 500 offers close to 500 seated places. La MADELEINE: a venue with real local character which can host conferences for 250 to 630 persons. 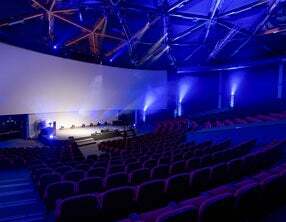 Brussels Expo has the largest plenary room in Brussels: completely renovated in 2013, our hall for concerts and shows, Palais 12 is the ideal venue for organising large-scale conferences. Our auditoriums offer you intermediate capacities. 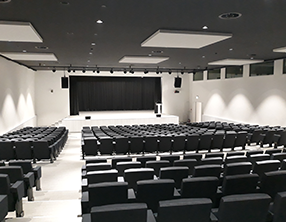 We have two auditoriums (500 and 2000 places) at the Heysel site and one auditorium – totally renovated in 2015 – right in the city centre, 250 metres from the Brussels Grand-Place. These two exceptional venues allow conference participants to enjoy two of the biggest tourist sites and jewels of the capital – the Atomium and the Brussels Grand-Place, a Unesco world heritage site. In addition, the great modularity of our spaces enables you to easily combine a conference with smaller meetings or events such as dinners, lunches, presentations, exhibitions, receptions or cocktail parties. Whatever the number of persons or type of event you are organising – you’ll always find the right solution at Brussels Expo!